What are OM1, OM2, OM3 and OM4? There are different types of fiber optic cable. Some types are single-mode, and some types are multimode. Multimode fibers are described by their core and cladding diameters. Usually the diameter of the multimode fiber is either 50/125 µm or 62.5/125 µm. At present, there are four kinds of multi-mode fibers: OM1, OM2, OM3 and OM4. The letters “OM” stand for optical multimode. Each type of them has different characteristics. Each “OM” has a minimum Modal Bandwidth (MBW) requirement. 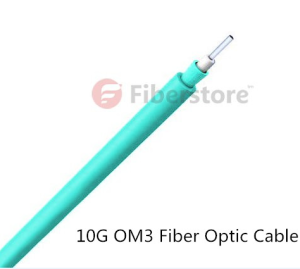 OM1, OM2, and OM3 fiber are determined by the ISO 11801 standard, which is based on the modal bandwidth of the multimode fiber. In August of 2009, TIA/EIA approved and released 492AAAD, which defines the performance criteria for OM4. While they developed the original “OM” designations, IEC has not yet released an approved equivalent standard that will eventually be documented as fiber type A1a.3 in IEC 60793-2-10. OM1 cable typically comes with an orange jacket and has a core size of 62.5 micrometers (µm). It can support 10 Gigabit Ethernet at lengths up 33 meters. It is most commonly used for 100 Megabit Ethernet applications. OM3 fiber has a suggested jacket color of aqua. Like OM2, its core size is 50µm. 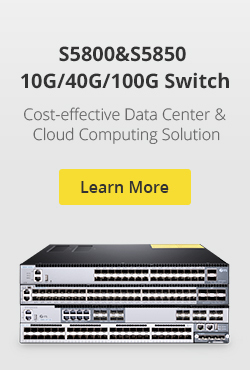 It supports 10 Gigabit Ethernet at lengths up to 300 meters. Besides OM3 is able to support 40 Gigabit and 100 Gigabit Ethernet up to 100 meters. 10 Gigabit Ethernet is its most common use. OM4 also has a suggested jacket color of aqua. It is a further improvement to OM3. It also uses a 50µm core but it supports 10 Gigabit Ethernet at lengths up 550 meters and it supports 100 Gigabit Ethernet at lengths up to 150 meters. Diameter: The core diameter of OM1 is 62.5 µm , however, core diameter of the OM2, OM3 and OM4 is 50 µm. Jacket Color: OM1 and OM2 MMF are generally defined by an orange jacket. OM3 and OM4 are usually defined with an aqua jacket. Optical Source: OM1 and OM2 commonly use LED light source. However, OM3 and OM4 usually use 850 nm VCSELs. Bandwidth: At 850 nm the minimal modal bandwidth of OM1 is 200MHz*km, of OM2 is 500MHz*km, of OM3 is 2000MHz*km, of OM4 is 4700MHz*km. Both OM1 and OM2 work with LED based equipment that can send hundreds of modes of light down the cable, while OM3 and OM4 are optimized for laser (eg. VCSEL) based equipment that uses fewer modes of light. LEDs can not be turned on/off fast enough to support higher bandwidth applications, while VCSELs are capable of modulation over 10 Gbit/s and are used in many high speed networks. For this reason, OM3 and OM4 are the only multi-mode fibers included in the 40G and 100G Ethernet standard. Now OM1 and OM2 are usually used for 1G which are not suitable for today’s higher-speed networks. OM3 and OM4 are used for 10G mostly at present. But in the future, since OM3 and OM4 can support the 40G and 100G, which may make them the tendency. This entry was posted in Multi Mode Fiber (MMF) and tagged 40G/100G, Multimode Fiber, OM1 Fiber, OM2 Multimode Fiber, om3 multimode fiber, OM4 multimode fiber on June 8, 2015 by Alice.Gui. Many types of fiber optic cable in the online company supply.It has many choices in the internet.How to choose the right fiber optic cables if you needed? Such as the OM3 multimode fiber OR OM4 multimode fiber.The first we must know fiber optic cable specifications,and know their different,and finally to determine which one is the most suitable. The 10G Ethernet basic power budget is about 6dB but this is degraded for longer link lengths due to signal distortions such as modal dispersion. These distortions mean that the detector requires more power to operate. The way this extra power is accommodated in channel planning is through a “power penalty”. In our example, the power penalty increases from 0 to almost 5dB for the maximum channel length. The penalty is not linear and increases dramatically as the maximum length is reached. In designing the channel, a key factor is the power budget available for connection loss. This is the total power budget inclusive of penalties reduced by the cable attenuation, leaving that portion of the power budget that may be used to cover connector insertion loss, splice loss, bend loss and contamination.The table opposite shows that at 300m with OM3 the loss available for all connections is only 1.79dB. On the other end OM4 allows up to 4.55dB, an increase of 2.76dB. A typical data centre channel may have eight connections. 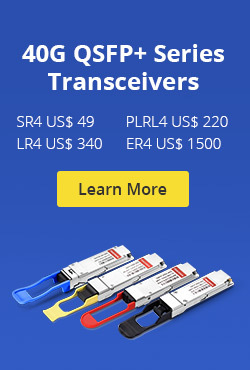 For OM3, the average loss must be less than 0.24dB,including all factors which means premium terminations must be used and there is no margin for installation faults, pinched cables or any other channel problem With a budget of 0.57dB per connection, OM4 allows considerable headroom to support a stable network. Know more OM3 and OM4 in this blog ,it can help you to choose the best cable in your project. OM3 10G fiber optic cables which are used for 10Gigabit Ethernet applications. These cables are also called multimode OM3 10G Aqua fiber optic cables. Our OM3 10G cables are various types including different connector types, cable structure and cable length. Our OM3 multimode fiber that are compliant to ISO/IEC 11801 standards. These cables are used for 10Gbps networks to meet the requirement of continuous growing of high data rates.Typically 10 Gigabit applications are run on 9/125 Single Mode fiber, which require costly single mode transceivers. By utilizing the FOB501B series cables, you can implement low cost multimode transceivers or VCSEL’s (Vertical Cavity Surface Emitting Lasers) resulting in greater overall system cost savings. OM4 is the latest high modal bandwidth high performance 50/125 Graded Index Multimode (GIMM) cabled fibre specification. OM4 fibre enables extended range performance over high bit rate links such as 8 Gigabit Fibre Channel and 10 Gigabit Ethernet compared to existing fibre types. FiberStore offer a wide range of OM4 compliant cable assembly products in both standard OM4 and Reduced Bend Sensitivity (RBS) OM4 variants. What is the difference between OM3 and OM4 fiber? First, OM stands for optical multi-mode. Both OM3 an OM4 are 50/125 core fiber but they have different internal construction that allows the OM4 fiber to provide the same performance as OM3 but for longer distances. The reason for this is the difference in bandwidth, OM3 has 2500 megahertz bandwidth , OM4 has 4700 megahertz bandwidth. What this translates to is longer transmission distances for the OM4 fiber. So you will need to know the distance of the fiber run in order to help decide which kind of fiber and fiber accessories need to be used. For more fiber optic cable specifications,pls contact with fibre optic cable suppliers. This entry was posted in Single Mode Fiber (SMF) and tagged fiber optic cable specifications, om3 multimode fiber, OM4 multimode fiber on October 4, 2013 by Amelia.Liu. There are many types of fiber optic cable. However, how much do you know about them? Don’t worry. Read through this post to learn different types of fiber optic cable and have a general understanding of them in case of needing. 1 or 2 fibers (zip cord) cable. This flexible yet durable bulk fiber cable is perfect for building duplex fiber or simplex fiber optic cable assemblies or any project that requires a more durable single or dual core fiber connection. Multimode or Single mode. This series features 125μm fibers with a tight buffer, then the aramid yarn for strength and a final outer jacket for protection. There are multiple fiber modes and jacket colors to choose from OM3 fiber optic cable, 50/125, 62.5/125 or 9/125. Our bulk fiber cable is sold by the meter and there is no minimum or maximum order. Contact us today for large project volume discounts. This flexible yet durable bulk fiber cable is perfect for building your own Multimode or Singlemode fiber jumpers or for fiber optic pigtails.This series features a 900um outer jacket and single fiber. There are multiple fiber modes and jacket colors to choose from 10Gb OM3, 50/125, 62.5/125 or 9/125. Our bulk fiber cable is sold by the meter and there is no minimum or maximum order. Contact us today for large project volume discounts. 4 to 144 fiber distribution cable. This is a flexible yet durable bulk fiber cable. Multiple fibers, each wrapped inside a .9 mm (900um) jacket, then a Aramid yarn strength member surrounds the buffer, and all in finally wrapped is a Riser, Plenum, or LSZH Jacket.There are multiple fiber modes and jacket colors to choose from 10Gb OM3, 50/125, 62.5/125 or 9/125. Our bulk fiber cable is sold by the meter and there is no minimum or maximum order. Contact us today for large project volume discounts. OM4 fiber & OM3 multimode fiber 10G Fiber Cables are used in any data center looking for high speeds of 10G or even 40G or 100G. OM3 & OM4 multimode fiber are ideal for using in many applications such as Local Area Networks (LAN) backbones, Storage Area Networks (SAN), Data Centers and Central Offices. FiberStore Offers a wide range of Indoor/Outdoor Cable in Distribution Cable. 900um buffered fiber that are easy to splice or termi-nate, surrounded by Aramid Yarn and wrapped in a OFNR (Riser rated) or OFNP (Plenum Rated) Jacket. Breakout cable flexible and easy to terminate, with individual 900um buffered fibers, then each is separately cover in Aramid Yarn and individually jacketed with a 2-2.5mm tube, then a final Riser Rated (OFNR) jacket adds the final protection. Good for indoor and out-door use. 12 fiber or 8 fiber, jacketed or bare ribbon cable. This flexible yet durable bulk fiber cable is perfect for building MTP / MPO fiber assemblies or any project that requires a fiber array. Multimode or Singlemode. This series features 250μm fibers with a matrix on the out side for protection. Then a outer jacket with Kevlar support. There are multiple fiber modes and jacket colors to choose from 10Gb OM3, 50/125, 62.5/125 or 9/125. Our bulk fiber cable is sold by the meter and there is no minimum or maximum order. Contact us today for large project volume discounts. Loose tube cables are the most widely used cables for outside plant trunks because it offers the best protection for the fibers under high pulling tensions and can be easily protected from moisture with water-blocking gel or tapes.These cables are composed of several fibers together inside a small plastic tube, which are in turn wound around a central strength member, surrounded by aramid strength members and jacketed, providing a small, high fiber count cable. Some outdoor cables may have double jackets with a metallic armor between them to protect from chewing by rodents or kevlar for strength to allow pulling by the jackets. Multiple Fiber , each being 250um fibers that are in bundles with a max of 12 fibers per tube, Then a water blocking filling compound. All is then wrapped in a loose tube, then Aramid yarn is wrapped around the tubes and a central strength member. A poly sheath is wrapped around and A cable is added for aerial support. and finally wrapped all with a Poly jacket. Available in All fiber modes. Multiple Fiber , each being 250um fibers that are in bundles with a max of 12 fibers per tube, Then a water blocking filling compound.All is then wrapped in a loose tube, then Aramid yarn is wrapped around the tubes and a central strength member. Armored layer is added to all and some cases a double layer. All is finally wrapped with Poly jacket. By the way, FiberStore is a professional fiber optic cable manufacturer. It offers competitive fiber optic cable prices. For more cables info or price, you can visit FS.COM for more details. How Many Fiber Connector Types Do You Know? This entry was posted in Multi Mode Fiber (MMF), Single Mode Fiber (SMF) and tagged om3 multimode fiber, Simplex Fiber Optic Cable, types of fiber optic cable on September 25, 2013 by Amelia.Liu.